Opera is a web browser and internet suite developed by Opera Software. Opera is free of charge for personal computers and mobile phones. It currently has over 270 million users worldwide. Opera handles most common internet related tasks including email, contact management, chatting, downloading and reading web feeds. Opera mini is the most popular mobile web browser and has been chosen by many mobile phone manufacturers as the default integrated web browser. Opera is known to be an innovative and cutting edge web browser, with many originating features being later adopted by other web browsers. 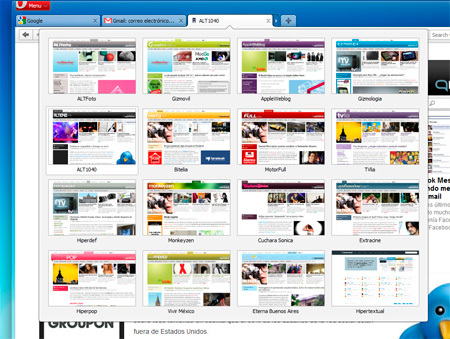 Opera’s features include tabbed web browsing, integrated download manager and page zooming. It also has built-in security features including phishing and malware protection. Opera is a very successful web browser in Eastern Europe, with a great amount of its users stemming from there. In December 2011, Opera was stated as having approximately 2% of the worldwide usage share of web browsers. Opera has had limited success on personal computers, but has had greater success in the area of mobile browsers. Opera Mini had the highest market share of all mobile browsers in 2011. Opera runs on many personal computer operating systems including Microsoft Windows, Mac OS X, Linux, and FreeBSD. Opera mobile is available for many mobile device, specifically those that use: BlackBerry, Windows Mobile, Java ME, Android, and iOS operating systems. It is the only commercial web browser available for certain gaming systems including Nintendo DS and Wii. Opera has also ventured in to television with some set-top boxes using the system. Adobe systems have licensed Opera for use in Adobe Creative Suite. 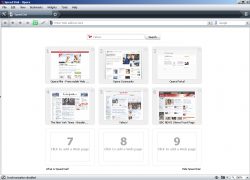 Opera has a variety of features to make browsing the web enjoyable and safe. Opera’s features include ad blocking, built-in tabbed browsing, fraud protection, a download manager, BitTorrent client and a web feed aggregator. Installation of extensions is very easy and fast. Opera also features its own e-mail function, Opera Mail. Opera also has a “Speed Dial” feature. It allows users to easily navigate selected web pages. Speed Dial works by allowing an unlimited number of pages to be shown in thumbnail form. It is displayed in a page when the tab is opened. There are many keyboard shortcuts available when using Opera for web browsing. Opera is committed to computer accessibility for users who may have visual or motor impairments. Opera features voice control which allows the user to control the browser without the use of a mouse of keyboard. It also allows the user to customize the user interface using on their own personal preferences. Opera Turbo allows users to navigate the internet quickly even when they are using a slower internet connection. Opera’s servers act as a proxy which will compress the web page before sending it to the user. It reduced the total size of data being sent thus making internet browsing quicker and more efficient. Opera also features Cascading Style Sheets which is a big part of web design. Opera has many different editions for a variety of devices which are all based on the same core. 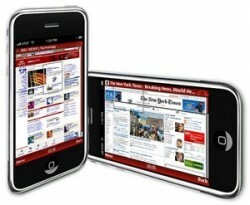 These editions include Opera Mobile for smartphones and Opera Mini which is used for mobile and smartphones as well. Opera’s user interface is secure and fast, making it a great choice for browsing the web. It also is easy to customize for one’s own personal tastes and likes. Opera is also a great choice for browsing the web on one’s smartphone due to its speed and compacting nature. It works great on a Mac computer and incorporates many elements that are found across OS X. The tabs are located on the top of the screen and are never cluttered. Opera offers many security features available to users. This includes the option to delete private data including HTTP cookies, browsing history and the cache. When visiting a secure website Opera encrypts data using SSL 3 or TLS. Opera also checks that the web site being visited against phishing, malware and blacklists. This behavior is enabled by default. Using the master password the user can also protect every saved password. This makes all passwords private unless the master password is known, blocking harmful malware from entering your computer. Opera also maintains a public web forum were users can submit bug reports. Overall Opera is a fast web browser that has many add-ons to make browsing the web more enjoyable. It also has many safety features keeping your computer or smartphone out of harm’s way. Although many prefer to use web browser giants, Google Chrome and Internet Explorer, Opera is definitely worth checking out. Opera allows users to customize their browsing experience easily; installation is fast and allows for more time to surf the web.